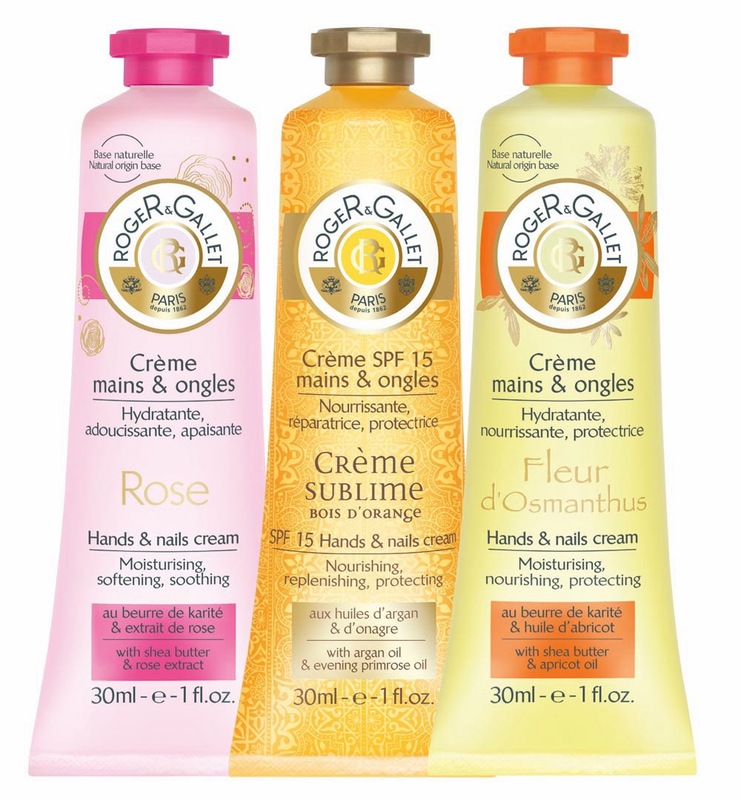 Roger & Gallet want us to "Indulge in Irresistible Softness" with their new shea butter-enriched hand and nail creams. My hands are in rag order at the moment. My cuticles, worse. I'm going through hand cream like it's going out of fashion. 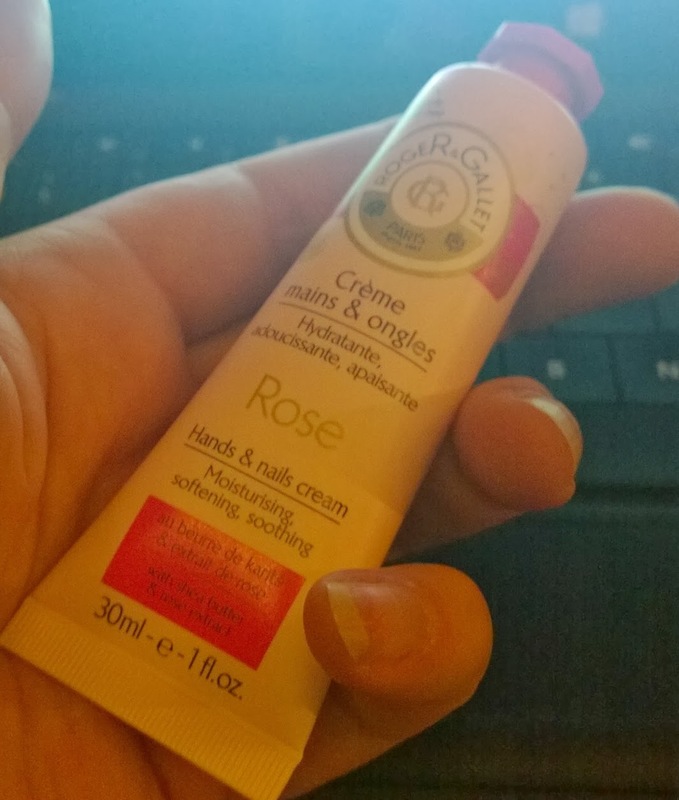 So I was beyond delighted to receive a free PR sample of the brand spanking new Roger & Gallet handcreams. As my other half said, when you get something for free, it's always good. I corrected him; when you get something good for free, it's absolutely great! Our hands are constantly exposed to the elements, and certainly in Ireland in the winter-time, the cold, the wind, the hard water, the soft water, the variations in temperature, all affect our skin, causing loss of moisture, making the skin dry and rough, and the nails flaky and the and cuticles ragged. Any hand cream at all will help out with this, but the usual one or two I've been using haven't been doing their job very well. One - and I do actually mean one - application of this stuff and my hands were softer than they have literally been in years. It didn't work miracles on my cuticles or nails right away, but it has certainly helped to improve them. I'm well impressed. Crème Sublime - containing argan oil and evening primrose oil, this one helps sun damaged, weathered, or prematurely aged skins. This one also contains SPF15 and has a warm woody-citrus scent. ... my new BFF this winter. I've been using the Rose, perfect for my dry, scaly and irritated skin at the moment, and it is utterly gorgeous. Picture a beautiful mix of clean linen mixed with a sweet rose scent. One use left my hands super super soft, with no trace of any grease or film left to be wiped off. My skin drank it up and just looked and felt instantly amazing. It took a few days' of usage to tackle my cuticles, but they're actually finally on the mend now. The final kicker? Only €6.50, and available in selected pharmacies and Marks & Spencer Beauty Halls from, well pretty much now on. Yes, I did receive this as a PR sample, but never have I been as impressed with a hand cream in my life. Highly recommended. All the more so as it's not expensive and very available.